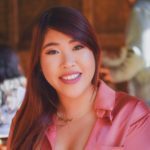 We are always excited to see how our customers utilize Guidebook’s platform to create the app of their dreams! Thanks to mobile technology and the innovative minds of our customers, beautiful things come to life that transform experiences and improve how we interact and learn through technology. We’d like to feature this great guide that blew us away! Earlier this year, The American Federation of Labor and Congress of Industrial Organizations (AFL-CIO) hosted their 2018 Dr. Martin Luther King Jr. Civil Human Rights Conference. The event not only celebrated and honored the life of Dr. King, but empowered attendees with workshops and training to continue to make Dr. King’s dreams of equality a reality. The four-day event hosted hundreds of social justice professionals, activists, and community leaders in Houston this year. 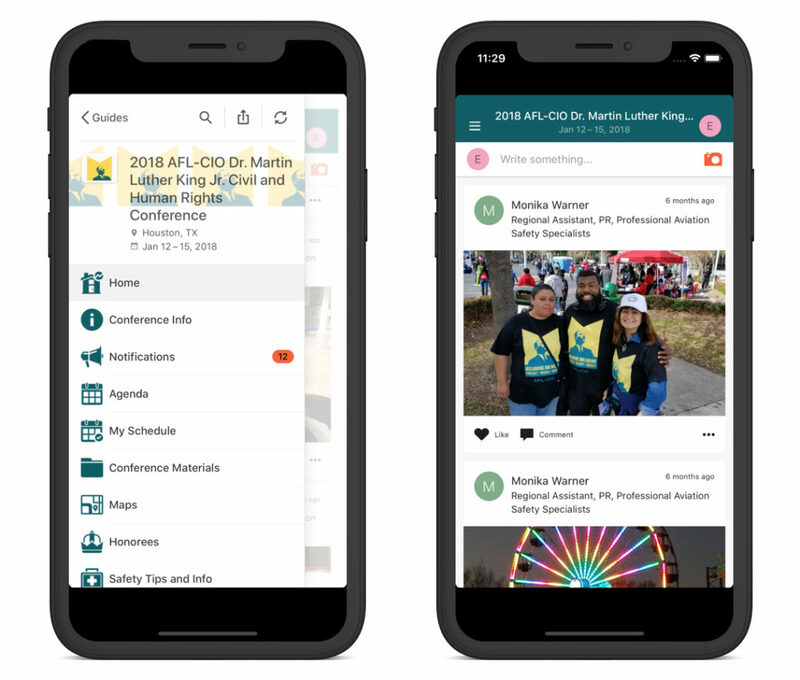 By staying organized with a mobile app, AFL-CIO’s attendees had every resource they needed in order to successfully attend each workshop and training that they were interested in. 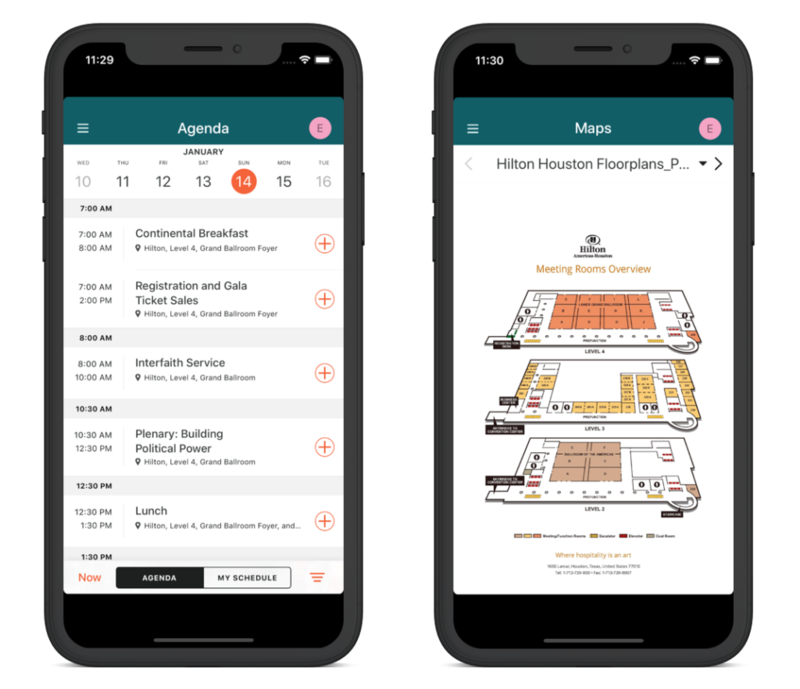 Whether it was on or off the conference floors, attendees kept connected by sharing posts and photos in the app. This year’s theme was, “Reclaiming the Dream: Strategize, Organize, Mobilize!” Sessions included “The Flint Water Crisis: Infrastructure, Politics and Public Safety” and “Working Women: Run to Win.” The complete agenda along with speaker and location information was visible on each attendee’s guide. They were able to add sessions to a personalized and customizable schedule. Hosts were also able to send direct messages and push notifications for any last minute announcements! Almost 500 downloads. Attendees were actively using the guide to navigate the conference! 13,971 guide sessions. Not just one and done. Users were using the guide several times throughout the event. 9 days spent in guide. Attendees utilized the guide well before and after the event. 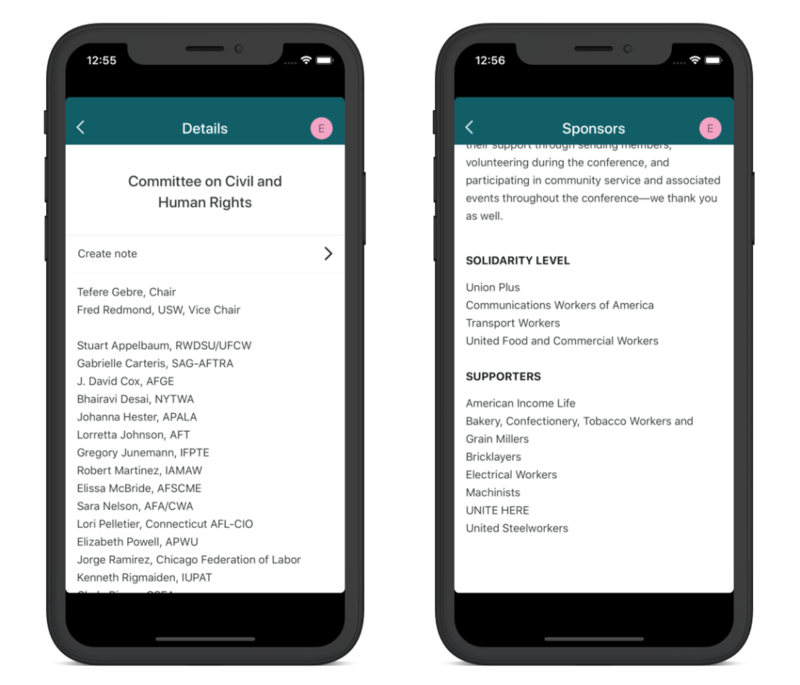 We are so proud that we could help AFL-CIO with our mobile technology to assist in mobilizing their participants! If you are curious to see how mobile technology can help power your event, click the button below to start building.